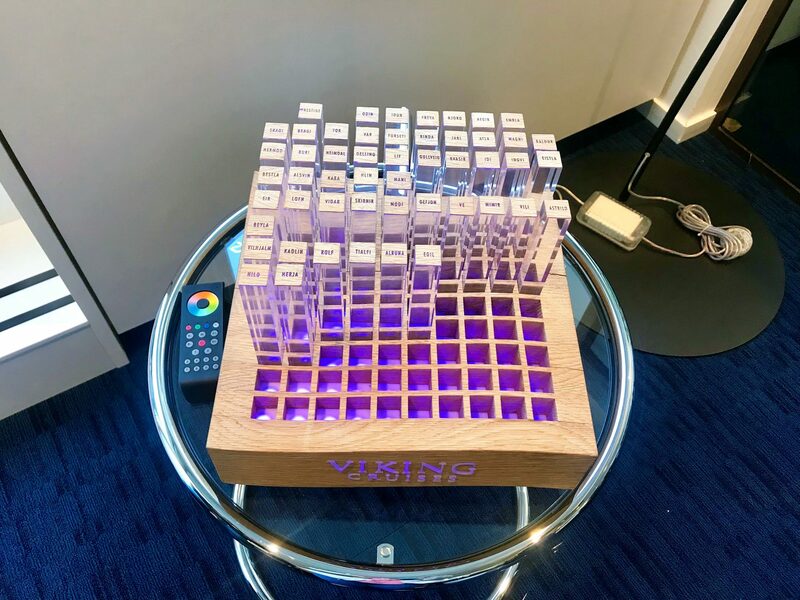 In the span of slightly more than 20 years, Viking has gone from a startup to an industry leader. According to Viking’s Chairman Torstein Hagen, the cruise line’s success all stems from a simple motto. First, you have to be loved by your staff, then you need to be loved by your customers and hated, but respected, by your competition. 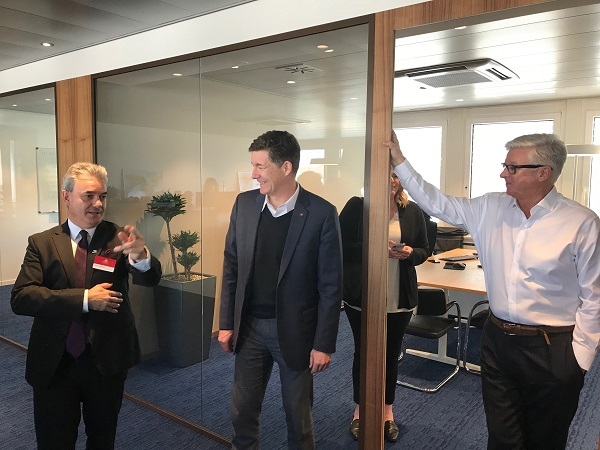 Last week, the Princess and I were invited to a behind the scenes tour of the cruise line’s operational headquarters in Basel, Switzerland. 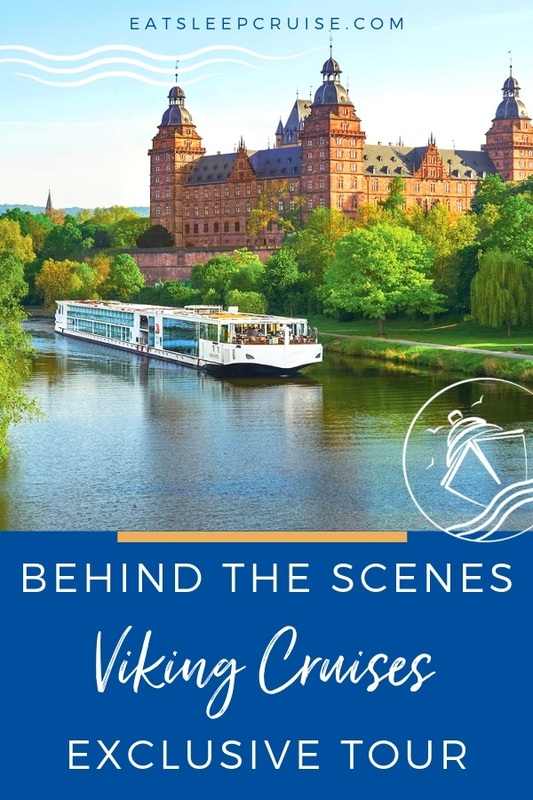 After our first experiences with the brand, it is easy to see how Viking Cruises has come to exemplify this powerful tagline. This “inexpensive office space” is nestled across the river from the ships’ berths. The headquarters pale in comparison to the size of the Los Angeles office, but the two hundred or so employees based in Basel, Switzerland are the heart and soul of the organization. The rather non-descript building consists of four “decks” housing employees for both the river and ocean lines of the company. Viking employs a shared services organizational structure. Thus, many of the same teams support both divisions. Chief Operation Officer Tony Hoffmann was our guide for this tour. While our group tried not to disrupt the office staff’s routine too much, many of us couldn’t help but ask questions to learn more about the inner workings of the company. For the cruise geek in all of us, this chance to see behind the curtain was not to be missed. Leadership, such as Senior Vice President of Marketing Richard Marnell, were happy to answer all of our questions. 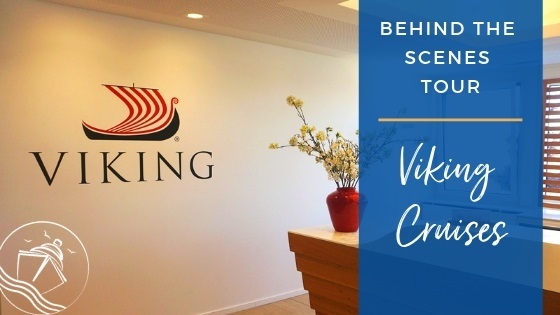 To hear senior leadership discuss the cruise line, its employees, and customers, it’s clear that the appreciation and love of Viking Cruises goes both ways. 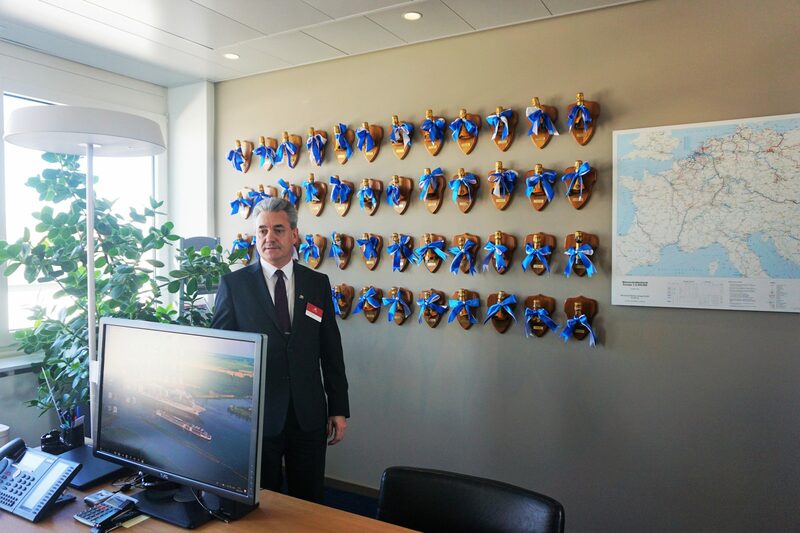 What Goes Into Making Viking Cruises Successful? During our visit, we learned several unique tidbits about the company. Firstly, Viking prides itself on being destination focused and allowing its customers to see the world in comfort. With that being said, virtually all ships in the fleet are identical to each other. There is also a more inclusive feel than other cruise lines. Wi-Fi, a shore excursion in every port, and beer and wine at meals are included in all cruise fares. 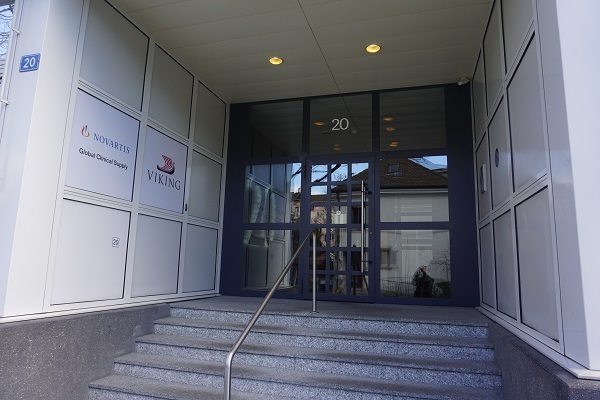 As a rapidly growing company, Viking Cruises has the goal of achieving 100 ships. 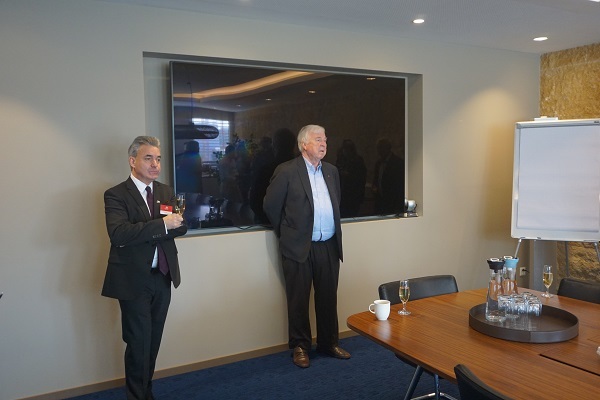 There is even a display case in the headquarters that serves as a reminder of the progress towards this goal. Did you know that Viking uses bottles of aquavit to christen its ships as a nod to Norwegian tradition? That’s right, instead of the traditional bottle of champagne, a bottle of this spirit is broken by the godmother to welcome the new ship into the fleet. However, bottle tops of christenings past adorn the walls at the Viking headquarters in Basel. We thought this was a nice commemorative touch. Perhaps one of the most unique “tidbits” that we learned actually came from the company’s cafeteria! Of course, cruisers do love to eat. 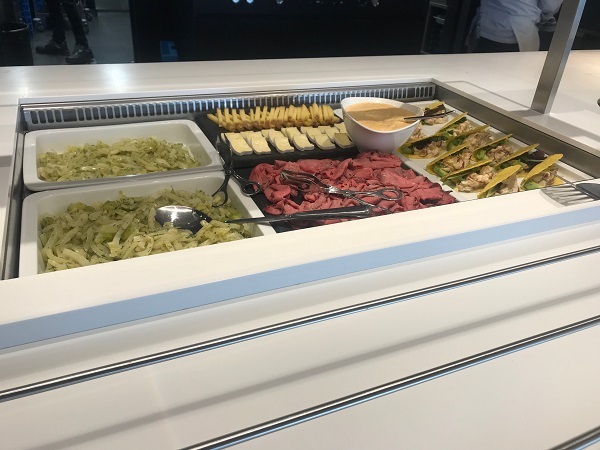 Hoffmann shared that the cafeteria serves as a test kitchen of sorts, where workers actually get to sample new menu items and provide feedback on the new offerings. Now, that is not a bad employee benefit! During our approximately 45 minute tour, we visited several departments and offices, including HR. This team knows a thing or two about recruiting and training quality personnel, as Viking routinely win awards for service from the likes of USA Today and Cruise Critic. This is no small task given that the company employs a total of 7800 onboard staff representing over 70 countries across the two fleets. This short sneak peek of the company’s headquarters provided a more personal glimpse into this industry leading company. 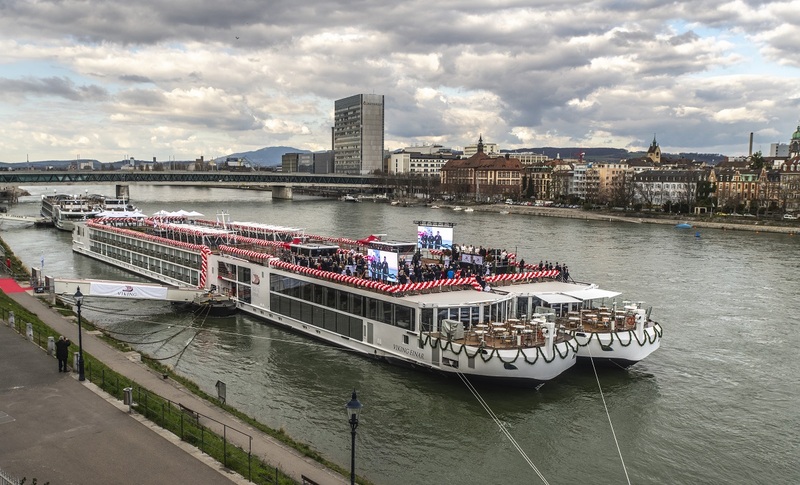 After all, when you speak to anyone about a river cruise, the name Viking Cruises is sure to come up in the conversation. We are confident that is something Hagen and the rest of his executive leadership truly love…and their competitors hate. Have you cruised with Viking? What do you feel sets this company apart from its competitors? Drop us anchor below to share your experiences with this one of a kind cruise line.